In August, 2007, Shwartz entered into several agreements with Hicham Khodr and various companies he wholly owned to sell the business. Two entities are relevant, Uptown Grill, LLC and Grill Holdings, LLC. On August 11, 2007 Shwartz sold the immovable property at the restaurant’s location, 626 Carrollton Avenue, to a Khodr entity. No aspect of this sale is disputed. On the same day, Shwartz executed a Bill of Sale to Khodr entity Uptown Grill. Exactly what was transferred is the subject of this lawsuit. Sixteen days later, on August 27, 2006, the parties entered into a license agreement, with Shwartz exclusively licensing the registered Camellia Grill trademarks to Khodr entity Grill Holdings nationwide for $1,000,000. The dates aren’t clear, but by 2011 Shwartz had alleged breach of the license agreement and gave Grill Holdings notice that the license agreement was terminated. He moved in Lousiana state court for a declaratory judgment of breach on the basis that Grill Holdings altered the trademarks without consent, sublicensed the trademarks without first providing notice, failed to pay royalties, and failed to provide financial statements. The trial court cancelled the license agreement and the appeals court affirmed. While the lawsuit over the license agreement was pending appeal, the Shwartz entities sued the Kohdr entities for trademark infringement and the Kohdr entities sued for a declaration of ownership of the trademarks. Kohdr’s theory was that it acquired ownership of the trademarks in the Bill of Sale. Uh oh. While the Bill of Sale is for “tangible personal property,” there it is, undeniably—sale of the trademarks. Courts have not required that contracts transferring ownership of trademarks explicitly mention the good will of the marks…. The Shwartz parties correctly note that trademarks may not be transferred without the good will of the business to which they are attached; they may not be sold in gross. The Shwartz parties go further, however, and seem to argue that good will cannot be transferred without its express mention in the contract. This argument misses the point…. The Bill of Sale transferred every single asset of Camellia Grill to Uptown Grill. It is clear to this Court that Camellia Grill was sold lock, stock, and barrel. Pursuant to well-settled trademark law, the Court must conclude that the good will of Camellia Grill was transferred with the sale of the entire business. The License Agreement also didn’t alter or modify the terms of the Bill of Sale. First, the court couldn’t look at the License Agreement to interpret the Bill of Sale because the Bill of Sale was clear and unambiguous and the License Agreement extrinsic evidence. Second, a subsequent license agreement with a different party couldn’t be used to modify the Bill of Sale. As outlined in this Order, the Bill of Sale clearly and unambiguously transferred the Camellia Grill trademarks to Uptown Grill. The Court has not been presented with any evidence indicating that Uptown Grill has divested itself of the trademarks. Accordingly, the Court concludes that Uptown Grill owns the trademarks “within or upon” the Camellia Grill location on Carrollton Avenue. The Court will separately issue a judgment in accord with this finding. Having determined that Uptown Grill has carried its burden to prove that it owns the trademarks, the secondary issue for this Court to address is whether the trademarks transferred to Uptown Grill in the Bill of Sale could be limited to the trademarks “within or upon” the Carrollton Avenue location. In other words, did [Shwartz] retain any interest in Camelia Grill trademarks following the Bill of Sale? It is axiomatic that “ownership of trademarks is established by use, not by registration.” Indeed, even if one acquires ownership of a mark, he only acquires ownership of that mark within the geographic area in which he is currently using the mark. At the time of the Bill of Sale, [Shwartz] owned the rights to the Camellia Grill trademarks to the extent of its use of the marks. As mentioned above, there is absolutely no dispute that, [Shwartz] used the marks solely in connection with the Carrollton Avenue Camellia Grill restaurant. Indeed, at oral argument, counsel for [Shwartz] conceded that the marks had never been used outside of the Carrollton location. The Bill of Sale unambiguously transferred ownership of the marks associated with the Carrollton Avenue location to Uptown Grill. 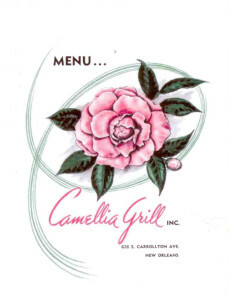 Because [Shwartz] only owned the marks in connection with the Carrollton Avenue Camellia Grill restaurant and those marks were sold in the Bill of Sale, the Court must conclude that [Shwartz] divested itself of all of its interest in the Camellia Grill trademarks. Well hold on Nelly—what about nationwide rights appurtenant to a federal trademark registration? Have we forgotten about the Dawn Donut rule, “§ 1072 affords nationwide protection to registered marks, regardless of the areas in which the registrant actually uses the mark”? Dawn Donut Co. v. Hart’s Food Stores, Inc., 267 F.2d 358, 362 (2d Cir. N.Y. 1959). Uptown Grill may own the trademark “within or upon” the premises, but Shwartz had greater trademark rights than that—nationwide. Construing the sale of rights “within or upon” a single address to also be an assignment of rights nationwide is, in my view, too far a stretch. Understanding this distinction also makes it much easier to reconcile $10,000 for the assignment of the trademark at the Carrollton Avenue address with a $1,000,000 licensing agreement that includes the right to sublicense the trademarks nationwide. But what should the court have done instead? Because I have no idea. The bill of sale transferred the trademark rights but not (explicitly) the registration. The registration is based on use at a single location, and at a minimum, the rights with respect to that one location were transferred. Is it possible that Schwartz maintained ownership of the registration, even though he gave away all the trademark rights on which the registration is based? If Schwartz had a second location sufficiently far away, would that make a difference? But then Schwartz would in essence maintain a registration with superior rights to the trademark rights he supposedly transferred, which would be absurd, right? What a mess. I also dutifully recite “registration is not a grant of rights, it is a recognition of existing rights” (that’s my version, anyway). But I’m questioning that. The Supreme Court hit this hard in B&B Hardware, “Congress’ creation of this elaborate registration scheme, with so many important rights attached and backed up by plenary review, confirms that registration decisions can be weighty enough to ground issue preclusion.” So you say Shwartz “gave away all the trademark rights on which the registration is based” but I maintain those original rights only perfected his entitlement to registration, they aren’t coextensive with the rights that accrue once registered. I guess the common view (based on Twitter) is that one’s rights only exist where you can enforce them. Someone cited McCarthy but I don’t have McCarthy so I don’t know whether it’s a valid statement for this situation. (But if you are ever interested in the Act of 1905 I have every edition of Nims, just ask!) But I have a different view; I think they exist nationwide upon registration but are just inchoate until you reach a geographic locale. In my perfect trademark world I wouldn’t have common law rights in a specific locale with one owner and registered rights with another. But courts (family and bankruptcy in particular, but some straight trademark cases too) occasionally allow this to happen. I call them “tolerated infringers,” like where a spouse gets one store in a divorce when all the others are owned and controlled by a different family member. The License Agreement retained to Shwartz the right to open a restaurant in Mississippi, where he moved, and also let the defendants sublicense the mark in a way that retained Shwartz’s control over the quality. The defendants opened new restaurants, and paid royalties, but breached the license and the court terminated the license. So the parties themselves acknowledge that Shwartz has nationwide rights and behaved accordingly. And, in the first suit over the license agreement, while they disputed that there was a material breach, they never mention “and oh, by the way, Shwartz doesn’t own the trademark anyway?” (Which leads to wonder why collateral estoppel wasn’t raised in this second case.) For years there was no question that Shwartz owned all the rights everywhere except that one address, and it’s only a too-simplistic legal analysis that changes it. I thought it was just complete boobery to say “trademarks” in the Bill of Sale, but if you assume that it wasn’t just a drafting error, which outcome is more consistent with what the parties were trying to do? The defendants wanted the right to use the name on the restaurant in that location for all time, and an assignment is consistent with that. But giving them the registrations too goes way beyond that, stripping Shwartz of a demonstrably viable licensing business that everyone agreed was his. My solution, where Shwartz assigned only the right to use the mark in a certain locale, is legally viable, more consistent with the parties’ intentions, and much less offensive (to me) than an assignment of several registrations in a document that doesn’t even acknowledge they exist when the License Agreement, negotiated at the same time, carefully schedules them. Damn, I’ve talked myself into believing that this can win on appeal! !